Get your kiddos off the computer,?phones, and video games and have?them join us this summer, June 25th-28th a full week of?drawing, painting and creating favorite superheroes! 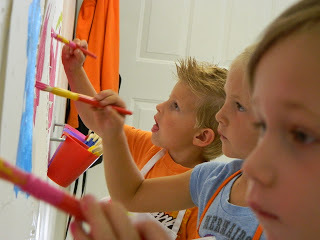 Creativity is the best way to keep your kiddo’s brain active while having a break from school, plus our program target important skill for school and adulthood success as, confidence, problem-solving, risk-taking, exploration, innovative thinking, social interaction and more. 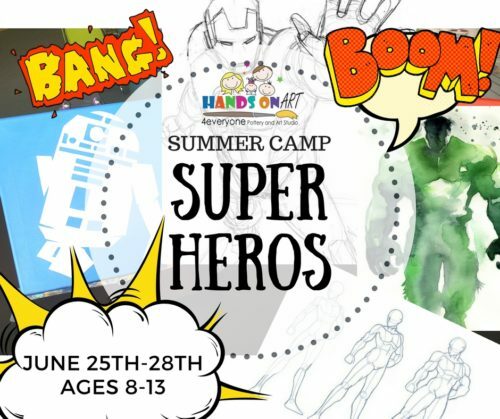 AM: Learn how to draw your favorite superhero, build a theme park, learn how to use pastel, and carved printing. 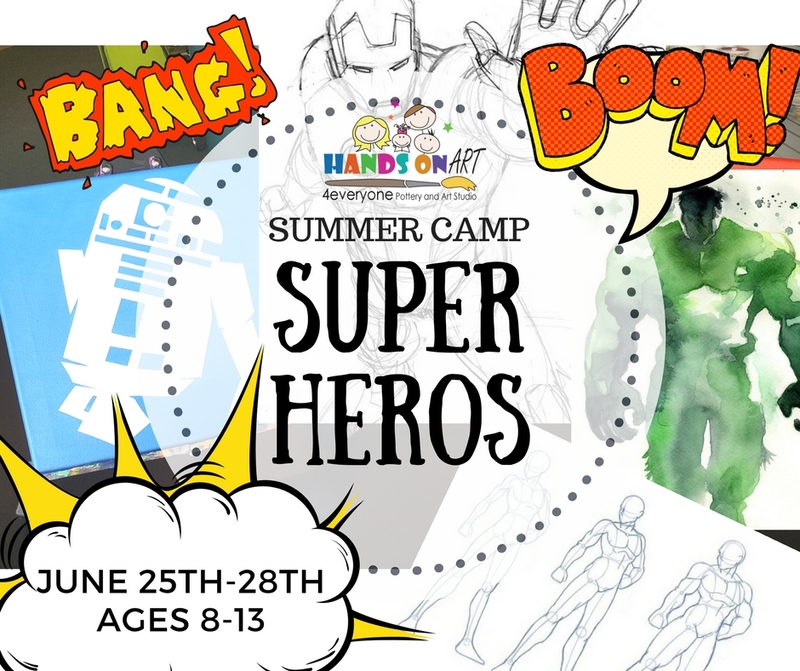 PM: Ceramic painting, design a plate of a superhero, drawing, watercolor, and acrylic starward painting, plus screen print your own camp t-shirt. 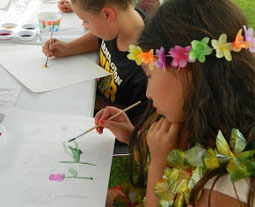 Join us for a?half day, full week camp $180 or a full day, full week camp $290? Important: for half day please?send your child with?a snack, full day two snacks and a sack with lunch.? What OTHER upcoming and exciting events do we have? See HERE!